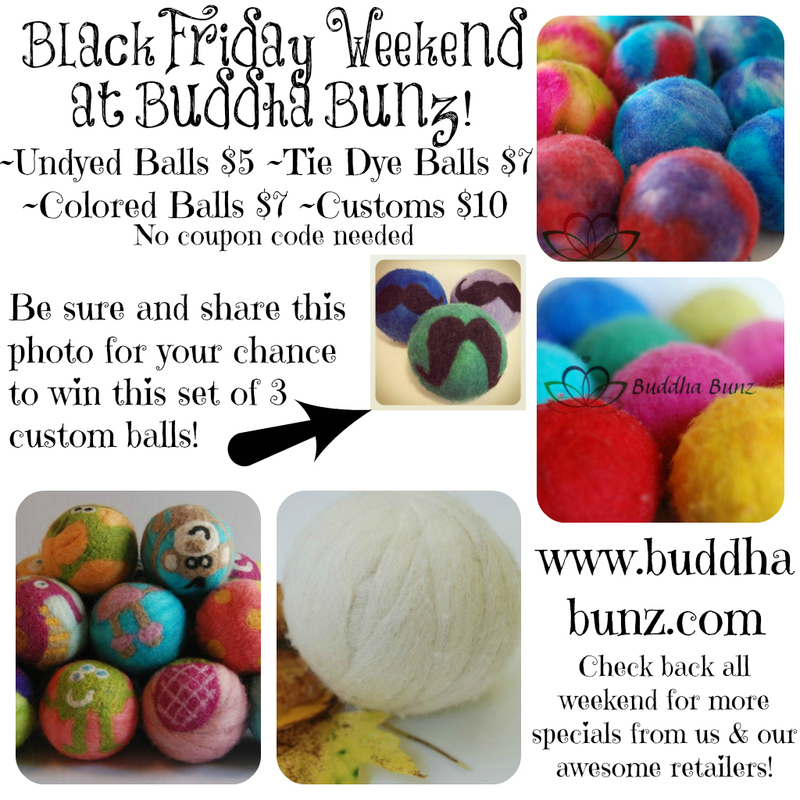 Black Friday 2012 at Buddha Bunz! Our annual $5 Black Friday sale is up now through Monday! You can also use the code 'BF2012' for FREE SHIPPING! 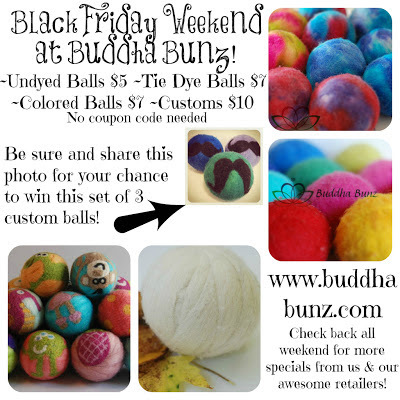 These retailers also have our Holiday Special tie dye dryer balls so check them out! Calgary Cloth Diaper Co., Domino Pads, Bumbini Cloth Diaper Company, Happy Cotton Tails and Cushy Tooshie. And the following retailers are having discounts.. Eco Nuts™ 30% off, Buttercup Baby 20% off, Greener Pastures 15% off and The Baby Grocery Store 15% off. LOTS of ways you can make your laundry happy this weekend! And be sure and share the picture on Facebook for your chance to win the set of 3 mustache balls!